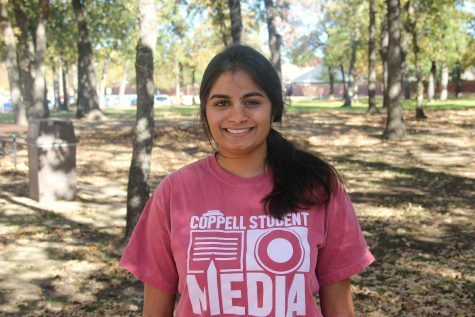 Sakshi Venkatraman is a senior at Coppell High School. This is her second year as news editor and third year on staff. Sakshi enjoys writing creatively as well as journalistically and is a Voices Columnist at the Dallas Morning News, a paper at which she also interned during the summer of 2016. Sakshi is also a tennis player and vice president of the CHS Diversity Club.